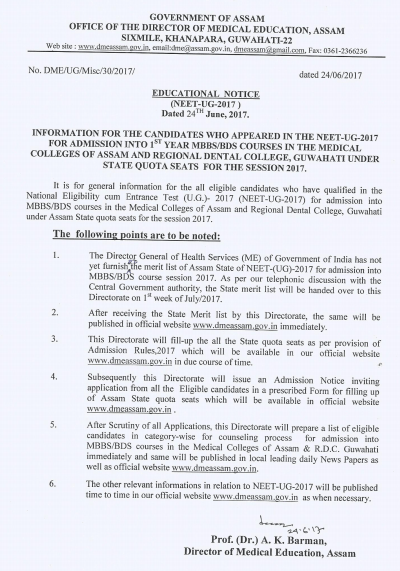 Assam NEET Counselling Schedule 2018: The Directorate of Medical Education, Government of Assam is going to conduct state quota counselling for MBBS/BDS courses. 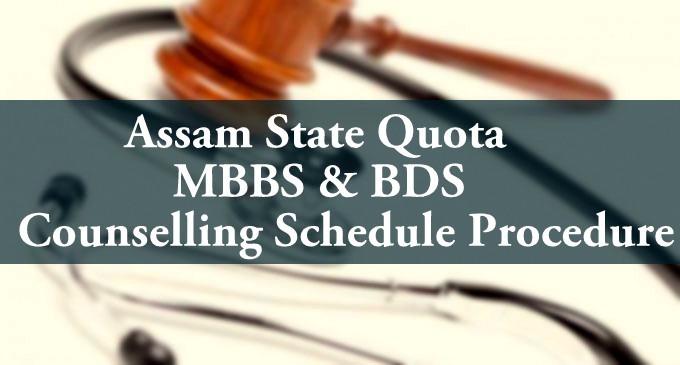 As you know there was no Combined Entrance Examination at the state level for MBBS/BDS courses. So, all 85% of Govt. and Private MBBS/BDS seats will be filled through NEET state quota counselling. 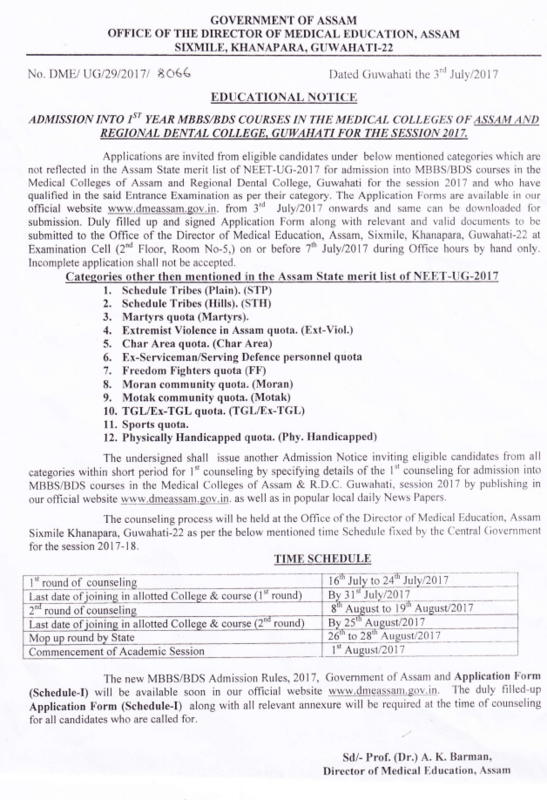 All candidates who have appeared in NEET UG 2018 exam are eligible to fill the Assam NEET Counselling online application form for MBBS/BDS courses 2018. After completing the online form filling procedure, the concerned authority will publish seat allotment result. All listed candidates will be called for the counselling on the basis of their state quota rank. 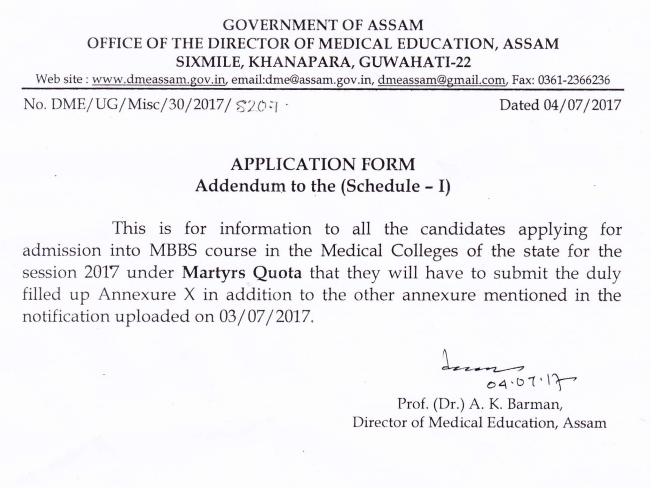 1.1 Good News: The Directorate of Medical Education, Government of Assam published NEET State Merit List on their official website. Candidates can download the merit list from the below link. 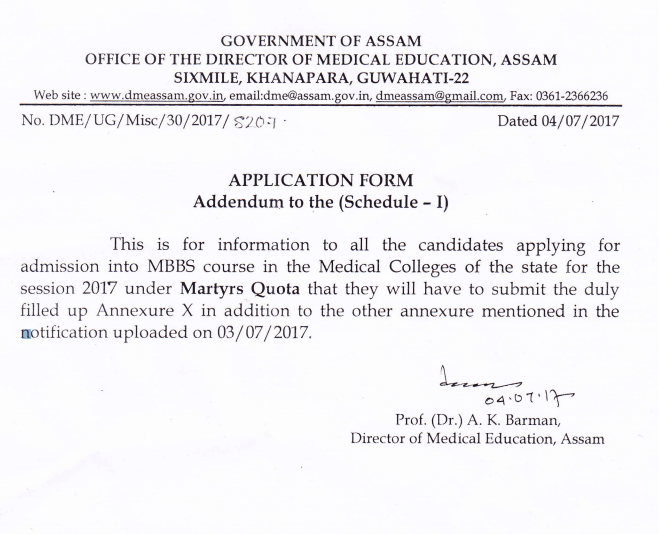 Good News: The Directorate of Medical Education, Government of Assam published NEET State Merit List on their official website. Candidates can download the merit list from the below link. After publishing the merit list of NEET 2018 for the Assam state quota seats the qualified and eligible candidates for counselling shall have to download application “Form-B” from the official website i.e. www.dmeassam.gov.in and submit the same duly filled up at the time of counselling. After publishing the state quota merit list, the candidates shall also submit a declaration form before the date of counselling to the undersigned. The application form is available at www.dmeassam.gov.in. 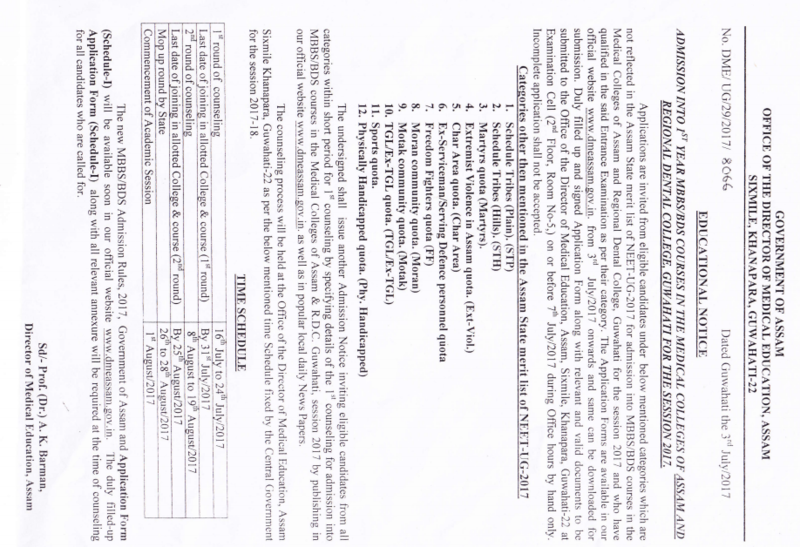 The last date of submission of the online application form is 7th July. If we have the opportunity to apply for another category other than gen/obc/mobc/sc/st based on the above given ‘catagory wise seats available’ list, what will we have to do and when will we have to choose that? The submission days of application form is very short(only 4days 3rd july-7th july).Can i submit my application form during 2nd counselling??? How much is the cuttoff for getting seat in mbbs(sc category) ? What will be the cut off this year for st (hill)? Sir,how much percentage need in PCB in hs(12) for assam state quota?